Size: Different succulents have different growth rate. 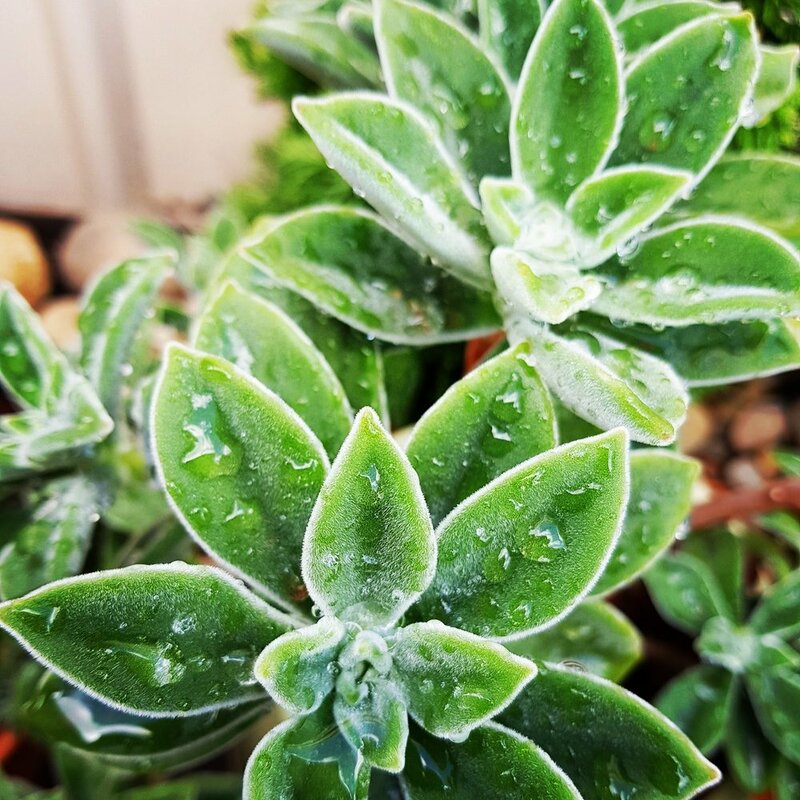 However, generally succulents are low growing shrubs that get up to 1 m.
Optimal position: Succulents adapt to the pot or container you plant them in (drainage holes are preferred but not necessary). They can survive indoors or out, however if you wish to keep them indoors, opt for green plants rather than the bright colourful ones. Place in a bright and warm position with indirect sunlight, or in filtered light (avoid the afternoon sun, where possible). Generally succulents will require about 6 to 8 hrs of light. If the plant isn't getting enough light, it can start to stretch and become leggy. General upkeep: Turn the plant once a quarter to encourage even growth. Frequent re-potting isn’t necessary as succulents adapt to space they’re given. If you do decide to re-pot, use a succulent soil mix. Water requirement: Use a wooden paddle-pop stick or chopstick to test the moisture level of the soil. If the top 2-3 cm is dried, give it just enough water to bring the moisture level back up. Watering will need to be amended depending on the season, i.e. less in the cooler and more in the warmer months. Fertilise: Use a slow release fertiliser for pot plants in Spring (use as directed). Propagate^: Take a 5-10 cm piece with plenty of healthy leaves and place it in a fresh pot of succulent soil (this is a great way to fix, and reuse leggy plants). You can also propagate from a single leave by either setting it on soil or keeping it on a dry board/tray. You will soon see baby succulents forming and the leave drying up. You can pot them in some fresh succulent soil once it's the size of your thumbnail. ^IMPORTANT NOTE: You must always read the label to ensure your succulents are allowed to be propagated, and not subject to copyright.